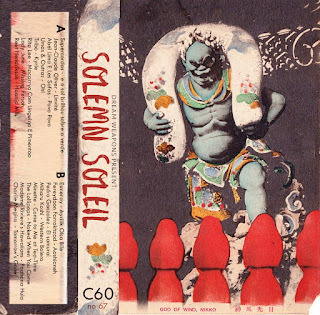 Solemn Soleil is a playlist that perfectly exemplifies the Scandinavian summer. At times brilliantine and blazing hot, switching swiftly to downpours and seeking shelter in bars where all you want to do is listen to sad lullabies. There are some more well-known songs on this mix, it wasn't an attempt at obscurity, merely a nice collection to listen to depending on the weather. Umas & Outras - Oh! please know these frequent mixes of yall's are greatly appreciated! Thanks wakingtrees, your feedback is equally greatly appreciated!